AA80 is produced by enzymatic digestion of Non-GM soybean, and approved as a high nitrogen fertilizer for organic farming. In addition to its nutritional value for plant, it usage also encourage farmers to continue cultivation of Non-GM crops. AA80 is a light yellow powder, excellent flowing, dissolves totally and instantly in water. Its nutritional value for plant can be understood from the high content of amino acids as shown in this analytical reports: 1) AA80_COA, 2) SGS metals, and 3) SGS NPK. 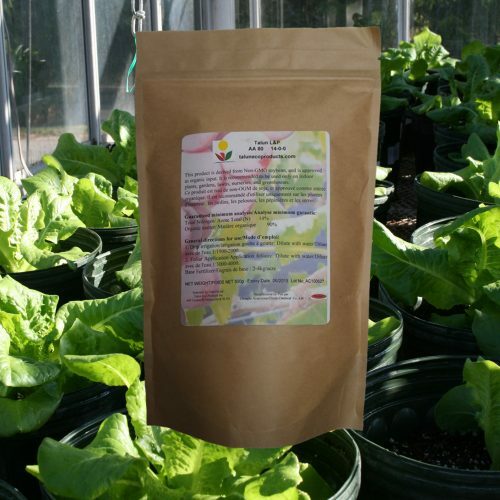 It can be used in foliar feeding, fertigation, drip irrigation, hydroponics, and aquaponics or as base fertilizer for indoor plants, gardens, lawns, nurseries, and greenhouses. It also functions as chelator with metal in the soil, and improves soil condition. 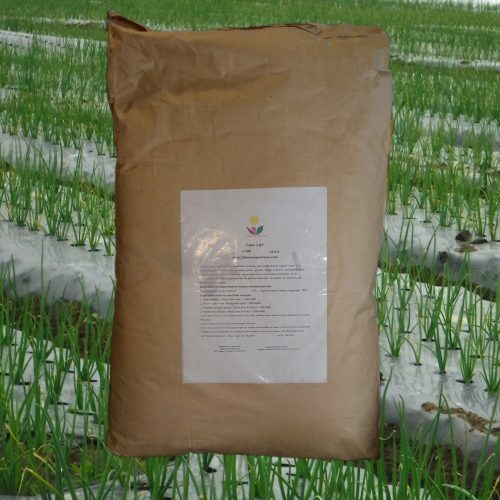 It can be mixed with other fertilizers to enhance the function with each other. Spray plant before 10am or after 4pm to maximize plant absorption rate. Re-spray in 2 hours if previous application washed away by rain. Repeat treatments during the growing season according to nutritional needs. Foliar spray: 3000-4000 times dilution. Drip Irrigation: 1500-2000 times dilution. Store at cool, dry place, and dim place. Do not store or transport with food staff, seeds and other fertilizers. Avoid contact with children and livestock. Packaging: 20kg/bag or based on customer request. Soybean Extract AA80 14-0-0 20kg/bag – Free shipping within Canada. Soybean Extract AA80 14-0-0 500g – Free shipping within Canada.